For over 50 years, the Ranch Course at the Alisal Guest Ranch & Resort in Santa Barbara, California has welcomed golfers to play golf on the historical Billy Bell designed course. Opened in 1956, the Ranch Course has become known as one of the premier private clubs in Santa Barbara. 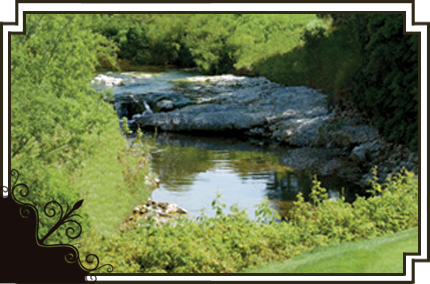 The Ranch Course is a challenging and scenic adventure that takes you back in time to golf as it used to be. Tournaments and corporate golf outings at the Ranch Course are great ways to get together on the golf course. Be sure to take a look at the tournament and golf packages that are available to your group this year. Memberships are available for those interested in enjoying Alisal to the fullest. There is always a new reason to enjoy a day of golf and fun times with family and friends at the Ranch Course at the Alisal Guest Ranch & Resort. Reciprocal play is also available to members of other private clubs by contacting the Head Golf Professional. Confirmed Ranch Guests may reserve your next tee time at The Ranch Course by contacting the Pro Shop: 805-688-4215 or Click Here to reserve your tee time on-line!